To Ang and the amazing Sherpa / Lama family who have worked tirelessly and yet effortlessly to bring this whole experience to life. There are few luxuries in life greater than the experience of letting go, knowing you are in the best of hands and being magically surprised at every turn. This is a very special place, a very special house and your are the most special of people. Thank you for sharing yourvision. It is my favorite writing desk in the world: a simple Italian bureau in a candlelit corner of the Happy House, in the Solukhumbu region of northeastern Nepal. Dear Ang & family, Thanks for welcoming us to your home and the Happy House. Some of us came lifelong friends and some of us met for the first time. What you shared with us inside and our has created fond memories that will last forever. 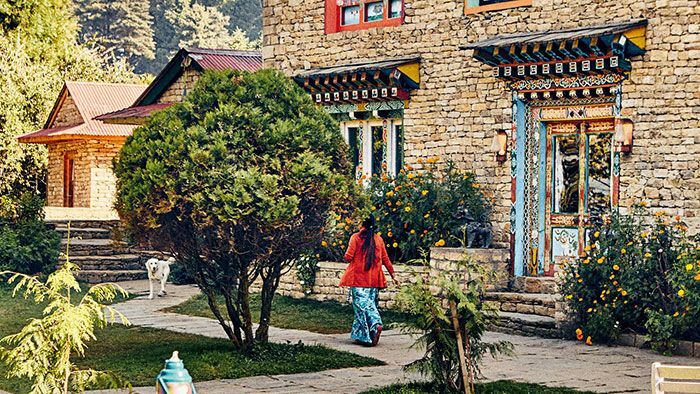 This is a remarkable place and you and your team have provided us a glimpse in to the Sherpa life and hospitality. Thank you for your care and generosity. Dearest Ang, family & household, Thank you for a glorious introduction to Phaplu and beyond. Unforgetable and I hope the first visit of many to come. I look forward to returning." 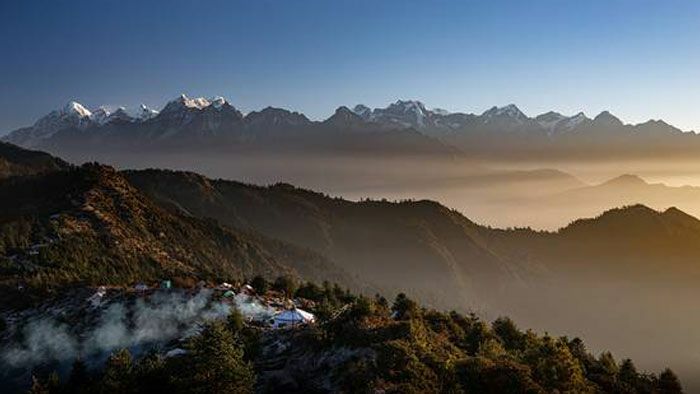 In the village of Phaplu in northeast Nepal, near Mount Everest, stands the favorite retreat of the late Sir Edmund Hillary. Dear Ang, Thank you for an amazing tiem and sharing this magical place with us. I look forward to many more visits and a growing friendship in the years ahead. And definitely a few more adventure in the Himalayas. What an absolute pleasure to be here for the inauguration of this beautiful house. It has been an incredible introduction to this beautiful country and I am eager to return soon with friends and family. The house is magical and will be the sanctuary for many future travelers to this sublime country. Wishing you all the best. "Thank you Ang and the Lama family for opening our English eyes and changing our lives with your generosity & hospitality in this beautiful place. Now we have a Beyul in our minds to take home with us."